This document gives an introduction to and an overview of the EQuIP Toolbox. To access the technical foreword, please follow this link or download here. The conceptual framework gives the background of the EQuIP Toolbox. It elaborates on the motivation for the development and how it can be placed in the academic discourse. For a full description of the Tool, please follow this link. 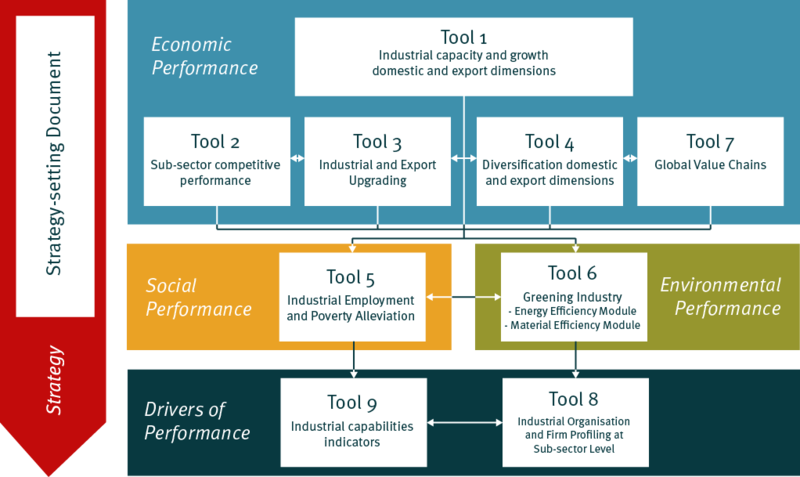 To bring a diverse range of potential industrial policy objectives to light, to assist countries to consider and to define the objectives that are most appropriate for their national context as well as to provide a convincing logic to substantiate their unique structural transformation vision. This document is the manual handed out at the EQuIP Trainings. Please note that this is no full reflection of the training and has not been designed as a stand-alone course.